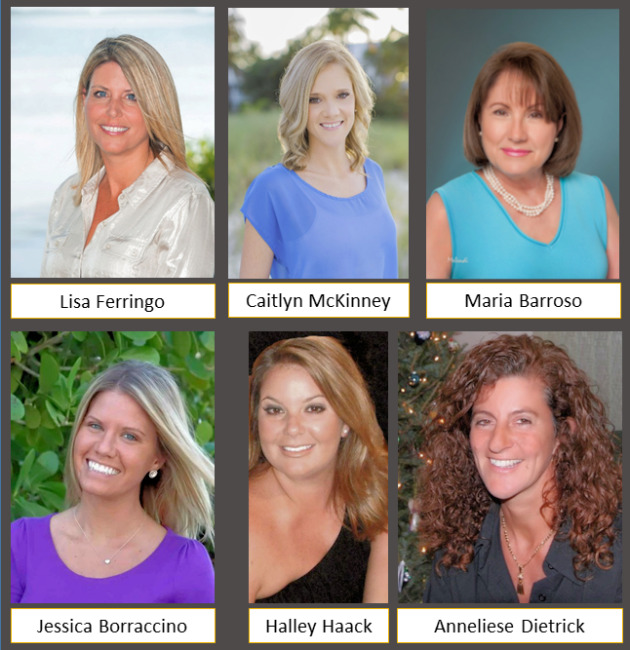 Florida Keys – December 17, 2018 – Coldwell Banker Schmitt Real Estate Co. (CBSREC) congratulates its Middle and Lowers Keys Agents on their 2018 awards from the Marathon Lower Keys Association of Realtors® (MLKAR). Lisa Ferringo (Lower Keys) was sworn in as 2019 MLKAR President. Caitlin McKinney (Middle Keys) was elected the 2019 MLKAR President-elect. Several CBSREC agents, Caitlin McKinney, Jessica Borraccino (Middle Keys) and Halley Haack (Lower Keys) will be MLKAR Directors during 2018. CBSREC also congratulates Anneliese Dietrick of its Lower Keys office for being awarded the 2018 Rookie of the Year for the Marathon Lower Keys Association of Realtors® (MLKAR). Maria Barroso (Key Largo) was elected to the Florida Keys Board of Realtors’ Board Of Directors. Coldwell Banker Schmitt is the oldest and largest real estate company in the Florida Keys with offices conveniently located in each of the five major Keys market areas. It has been the Keys-wide leader in listings and sales since 2005 and boasts a 98+ percent rating for customer satisfaction. For additional information, visit Coldwell Banker Schmitt’s website at RealEstateFloridaKeys.com, or email info@cbschmitt.com, or call any of its five locations in the Florida Keys. To learn more about professional opportunities and why Coldwell Banker Schmitt agents and staff average more than nine years of service with the company, visit the Careers Center.